BECIL Jobs Recruitment 2018 for Project Mgr, Team Lead, S/W Developer, Tester Posts: Broadcast Engineering Consultants India Limited has Recruitment Notification for Project Mgr, Team Lead, S/W Developer, Tester – 10 vacancies. Interested for getting Project Mgr, Team Lead, S/W Developer, Tester Vacancies, May Apply on or before 26-06-2017 Hrs on Wards. Qualified in MCA/ B.Tech Computer Science/ B.E. Computer Science / M.Sc (IT). Candidates age limit 35 years as on 13-04-2017, Age relaxation is as per Govt rules. Interested candidates apply may submit their application in the prescribed forms downloaded by visiting the website along with self attested photocopies of education/ experience certificates, two passport size photograph should be reach to BECIL's Corprate Office C-56, A/17, Sector-62, Noida on or before 26-06-2017 Hrs on wards. Last Date for Application: 26-06-2017 Hrs. Relevant Addresses in Broadcast Engineering Consultants India Limited. 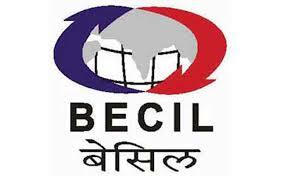 BECIL Jobs Recruitment 2017 for Project Mgr, Team Lead, S/W Developer, Tester Posts: Broadcast Engineering Consultants India Limited has Recruitment Notification for Project Mgr, Team Lead, S/W Developer, Tester – 10 vacancies. Interested for getting Project Mgr, Team Lead, S/W Developer, Tester Vacancies, May Apply on or before 13-04-2017 Hrs on Wards. Interested candidates apply may submit their application in the prescribed forms downloaded by visiting the website along with self attested photocopies of education/ experience certificates, two passport size photograph should be reach to BECIL's Corprate Office C-56, A/17, Sector-62, Noida on or before 13-04-2017 Hrs on wards. Last Date for Application: 13-04-2017 Hrs.